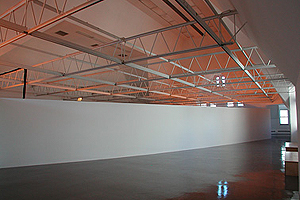 The collaborative artistic team of Jennifer Allora and Guillermo Calzadilla has been working together since 1995. The work of these two artists was displayed in an exhibition earlier this spring at The Renaissance Society at the University. Their work will be featured on Art:21, as will the work of Catherine Sullivan and Iñigo Manglano-Ovalle, both faculty members in the Department of Visual Arts. The upcoming fourth season of PBS’s award-winning series, “Art: 21-Art in the Twenty-First Century,” will feature two current faculty members in the University’s Department of Visual Arts, Iñigo Manglano-Ovalle and Catherine Sullivan. The series focuses on 17 contemporary artists across the country, dividing the profiles into four one-hour long episodes, each devoted to a certain theme. Manglano-Ovalle, Professor in Visual Arts, whose video installations and sculptures PBS describes as “metaphors for understanding difficult social issues from immigration and gun violence to human cloning,” will be featured in the “Ecology” episode, premiering Sunday, Nov. 11. The “Paradox” episode on Sunday, Nov. 18, will feature the films and live performances of Catherine Sullivan, Assistant Professor inVisual Arts, whose art questions “the border between innate and learned behavior.” Some of the other artists appearing in the series, including Mark Dion and team artists Jennifer Allora and Guillermo Calzadilla, have had recent exhibitions at The Renaissance Society and the Smart Museum of Art on the University campus. The series will run every Sunday night from Oct. 28 through Nov. 18 on PBS.